Because who really has time to do anything fancy? It’s 7:40am on Monday morning when I wake up and come to a sad realization — my class on the other side of campus starts in 20 minutes. But rather than discuss my questionable judgment in taking an 8am Monday class, let’s talk about what I’ve learned from it. Most mornings, I have about five minutes to throw something together that will keep me full and prevent my stomach from making embarrassing noises for the next three hours. So here’s my gift to you, hungry and time-crunched students: a breakfast for every day of the week to make those just-rolled-out-of-bed mornings a little bit sweeter. For a quick homemade spin on this healthy breakfast staple, simply combine your favorite yogurt, cereal or granola with some fruit jam. 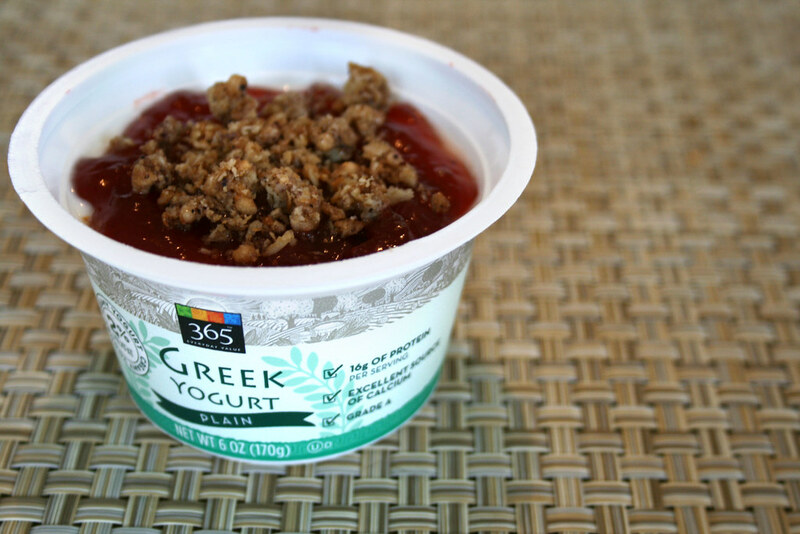 I prefer Greek yogurt because it packs protein and granola and it’s also pretty filling. The fruit jam gives it some texture and sweetness, although you can always substitute or add fresh fruit to liven it up. Plus it’s super portable — always helpful when you’re forced to eat while walking to the class you’re about to be late for. Everyone knows no list of breakfast ideas would be complete without one that could arguably be in the “dessert” category. 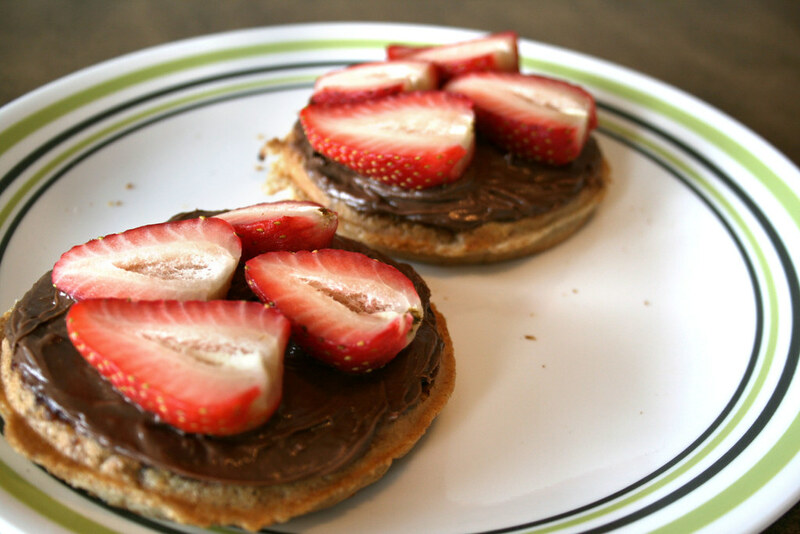 For this I topped two frozen waffles with chocolate spread (I used a Jif variety, although I’m sure Nutella would be just as good) and some sliced strawberries. Not only is this delicious but you’ll definitely avoid any awkward stomach growling in the class you already stumbled in late to, preventing further embarrassment. Always a plus. 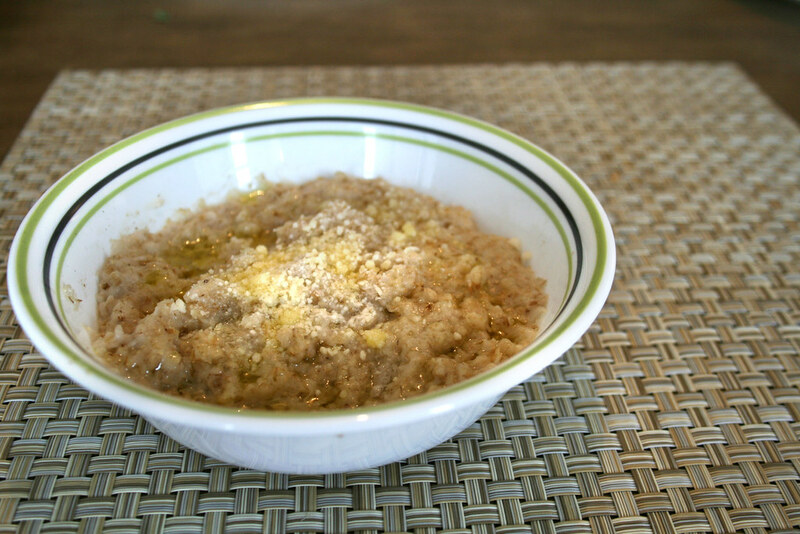 This oatmeal is inspired by Giada de Laurentiis, the Food Network celebrity chef who likes to put an Italian twist on everything (even breakfast). Instead of sweet toppings like berries and honey, a quick and equally delicious way to eat hot cereal is with some savory ingredients such as olive oil, sea salt and Parmesan cheese. It sounds weird, but it’s actually really good — as long as you don’t overdo it with the toppings. Instant oats makes your breakfast prep a mere two minutes, and isn’t any less effective than regular oats in keeping you full until lunchtime. 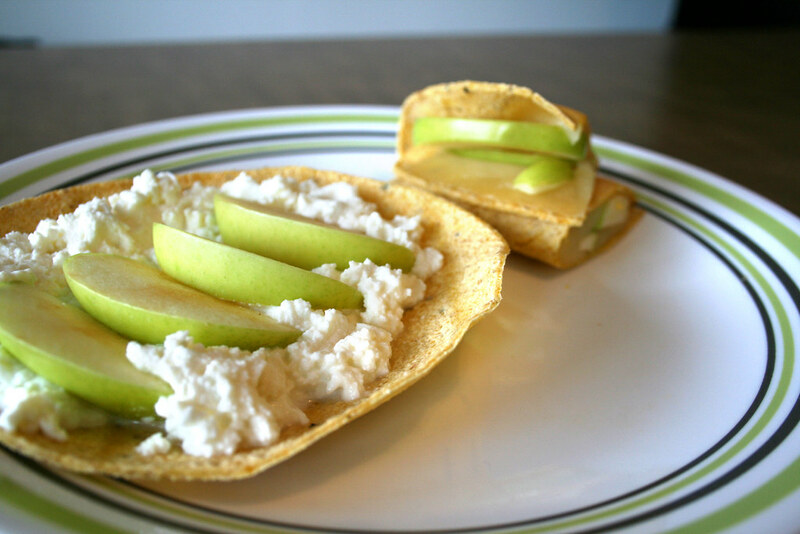 This one gives you a little variety — either roll some sliced apple and ricotta cheese into a corn tortilla and enjoy cold, or spread the apple and a handful of shredded mozzarella cheese on a flat tortilla, microwave for a little less than a minute, fold over and voila! You have a breakfast quesadilla. The fiber in the apple will keep you going for a while and the protein in the cheese will give you the boost you need to get through your first few classes (including the sprint to the first one). 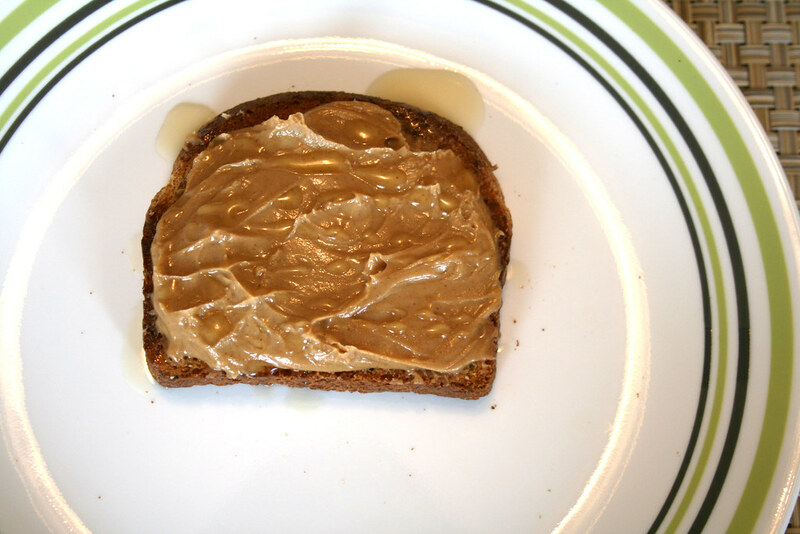 Though I’ve been eating peanut butter toast since I was a 9-year-old narrowly missing the bus to elementary school (old habits die hard), I will still vouch for its superiority as a satisfying and easy breakfast. Regular toast is great and all, but when you need a full meal in under 5 minutes, protein-rich peanut butter is your best bet. The addition of honey gives it a little extra flavor without much time or effort. And best of all, I’ve found a drizzle of honey also makes the peanut butter easier to swallow, getting you out the door even faster. Pretty sweet, right?